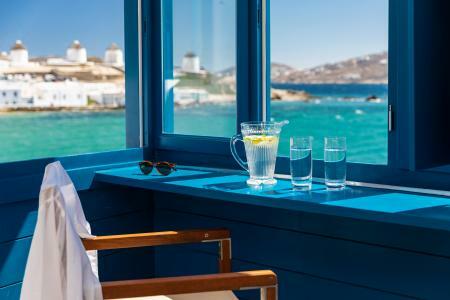 Combining a tightly edited selection of materials – marble, plaster and wood – the Standard Rooms favour light-filled interiors with discreet island accents, unique to Mykonos. The hand-sculpted wood simulates the surface of the sea, while the look and feel of the space is supple, with no sharp corners in sight. 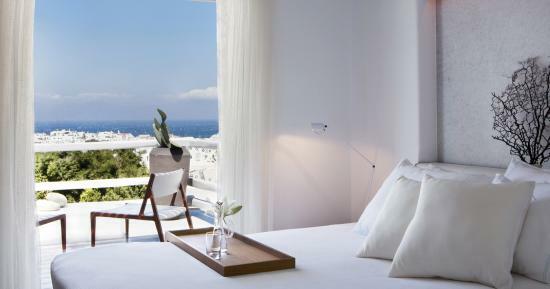 Elevating simplicity into high art, the Standard Rooms play to the hotel’s main strengths: luxury and functionality. Going from day to night, they incorporate ingenious hi tech details and clever storage solutions, making the best of both worlds. Retractable worktops transform into dining tables, while beverage centres feature full service bar trolleys, leaving nothing to chance. 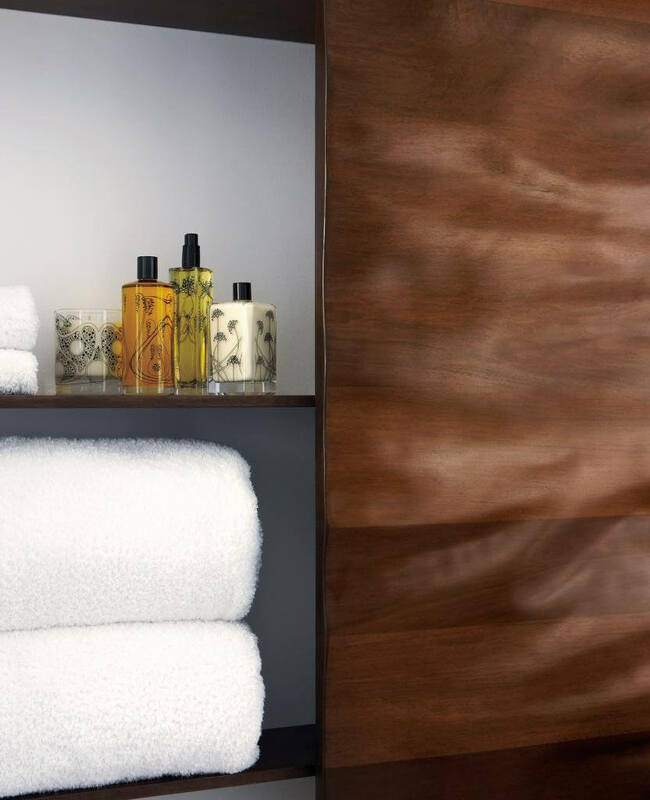 Our unique concepts in space planning extend to sumptuous bathrooms for a spa-worthy experience. 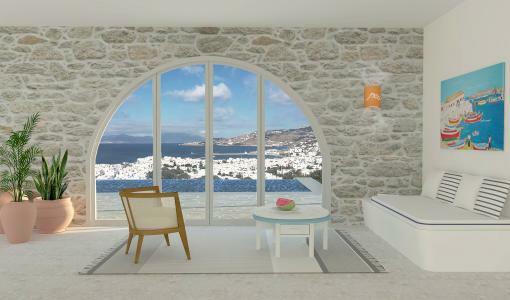 This attainable luxury room is located on the ground floor, offering a courtyard or garden view. 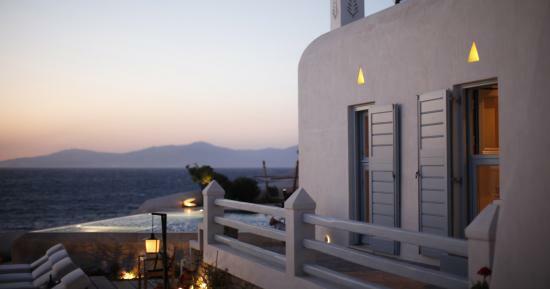 Consider this your Mykonos pied-à-terre, an accommodation option that gives you access to the Belvedere universe without going over the top.